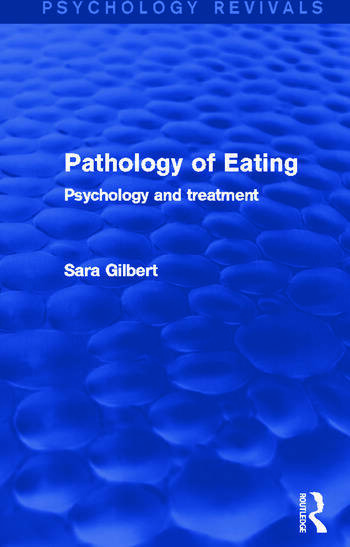 Originally published in 1986, Sara Gilbert provided the first systematic and comprehensive coverage of the psychological aspects of eating disorders and their treatment. The book begins with an account of normal eating behaviour and the problems of explaining its control in the individual in the context of social and cultural influences. It describes cross-cultural differences in attitudes to being overweight or underweight, and the current western dilemma of pressures towards slimness on the one hand and the increasing demand for choice and fast food on the other. In Part II, the author describes the phenomena of overeating and undereating, both in relation to people with systemic disease and in people suffering from obesity, anorexia nervosa and bulimia. She examines the psychological causes of overeating and undereating, and the problems of drawing a line between purely medical and purely social-psychological explanations. In Part III of the book, the author provides a summary of treatments for overeating and undereating, with emphasis on the psychological approaches. She describes new developments, in particular in the use of behavioural techniques, and their significance as a means of allowing individual sufferers some choice in the course of their own treatment.